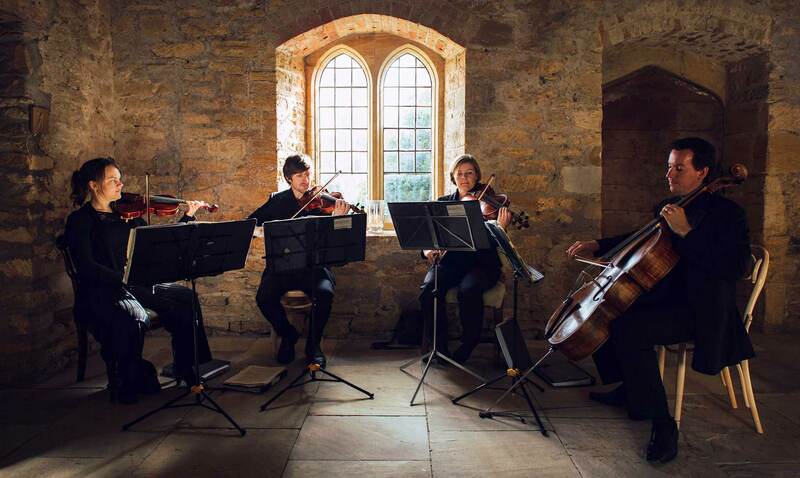 The Ardeton String Quartet have been providing high quality music for weddings in Bristol, Bath and the Cotswolds since 2001, and have been chosen by over 1200 couples to play for their special day. We can provide classical, jazz or pop music for your day, and requests are our speciality. 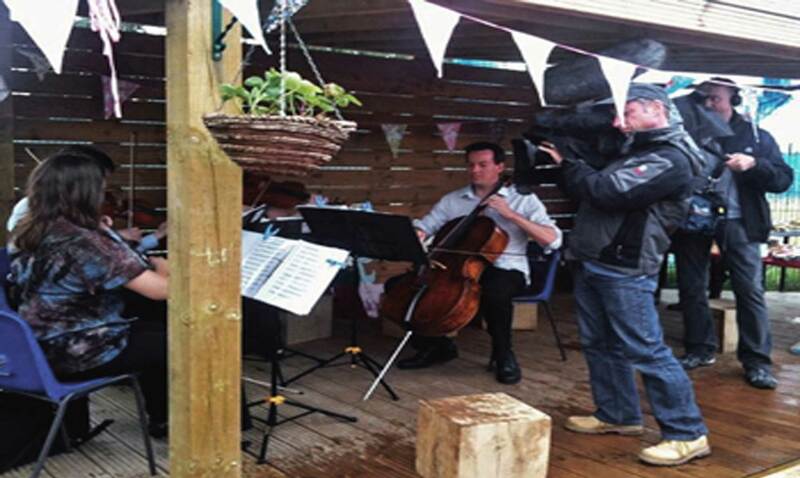 With previous clients including Marks & Spencer, Sky and Lloyds Banking Group, The Ardeton String Quartet can provide music for corporate events, awards evenings and product launches across Wales, Bristol, Bath, Wiltshire, Gloucestershire and beyond. 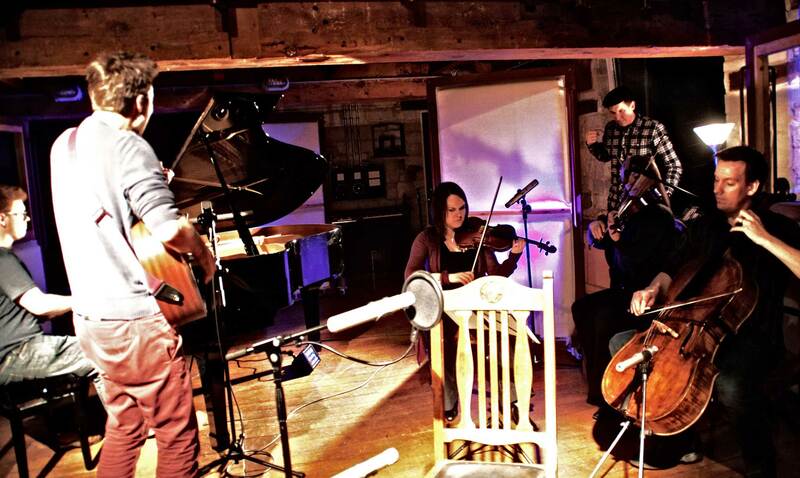 The Ardeton Quartet have appeared as session strings on many albums, singles and EPs, recording at many of Bristol and Cardiff's leading studios. We also specialise in live chamber music performances, and have performed at many of the UK's big festivals and concert halls. Whether a wedding, corporate event or party, the Ardeton String Quartet will provide the perfect musical accompaniment to your day. From Bach to the Black Eyed Peas, Cole Porter to Jurassic Park, their unrivalled repertoire of over 16 hours of music is all written and performed to the highest standard - some of our arrangements are licensed for sale online and used by string quartets around the world. 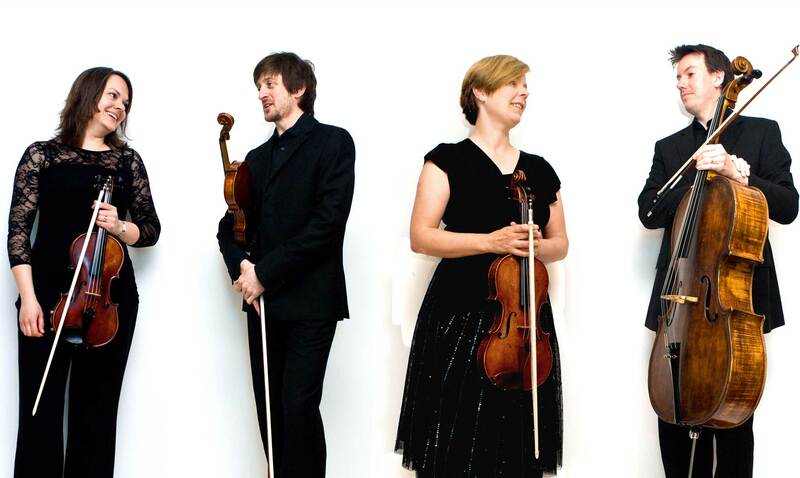 Since 2001, the Ardeton String Quartet has been selected by over 1200 couples as their wedding musicians, as well as performing for national and international corporate clients. They have appeared on the BBC, ITV and Sky, as well as working with bands and songwriters. Their enjoyment for what they do comes across at every stage, along with their professionalism and friendliness. 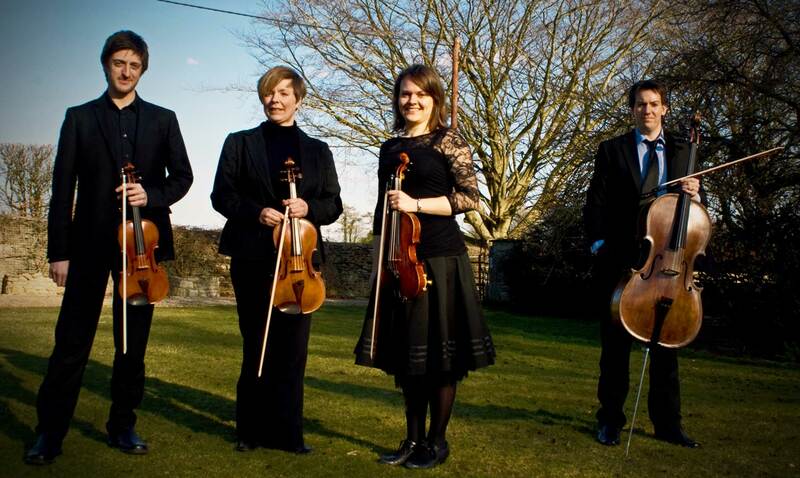 As one of the South West's most sought-after String Quartets, they have built an enviable reputation with clients and venues alike for their high standards - they are the recommended suppliers of many of the wedding venues across Bristol, Bath, Wiltshire, Somerset, the Cotswolds and Wales. They frequently travel as far north as the Midlands, as far west as Swansea, and South to Exeter. From the moment you book, they will talk you through your musical options for you day, help you to plan what is needed at each stage, and answer any questions you might have. They have a wide experience of playing at most types of event and venue, meaning you can relax on the day in the confidence that they will take care of everything musical for you. Why not download our wedding music brochure as a pdf. 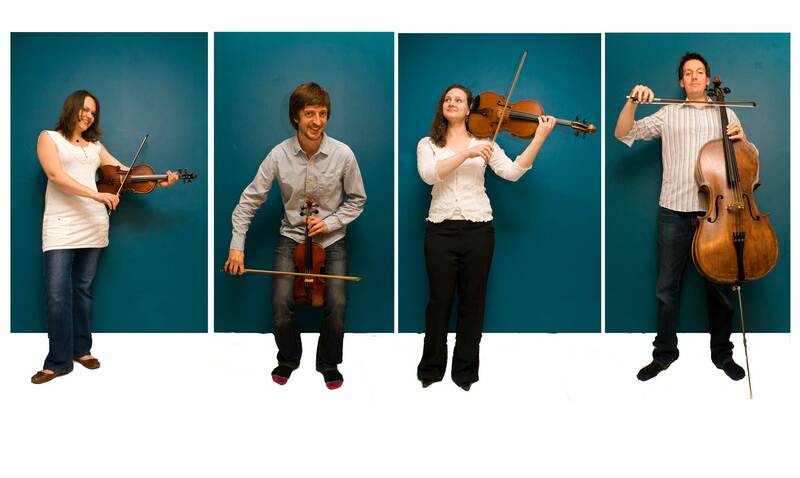 We are a long-standing string quartet with experience of playing at over 1200 events. As well as performing for events we work as a session quartet and play for concert societies and festivals across the UK. We are professional in our communication. 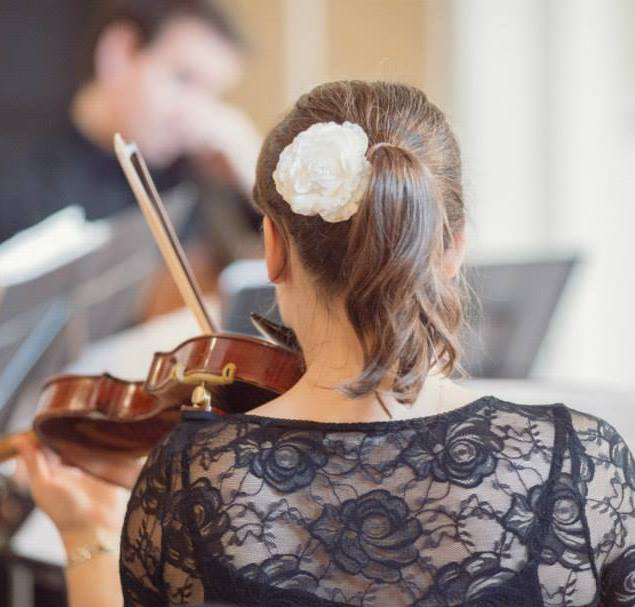 From the moment you first make contact, we will guide you through the process of arranging the perfect music for your event, from quotation through to issue of contract, and on to choosing the set list and where to have the quartet perform on the day. Unlike many other groups, there is no hourly rate at weddings. The quartet works on a package system, so if everything doesn't quite run to time on the day, you can be happy in the knowledge that we will keep playing and entertaining your guests. We also offer all wedding clients a free 'music consultation', either by phone or in person. We can help you pick music for your ceremony, talk through the timings for the ceremony, and any other aspects of the day to make sure everything runs smoothly and to plan. We have one of the largest and varied collections of repertoire in the country, and over 14 hours of music, and it's continually expanding. If you want something unique or special which isn't on the list yet, we are always happy to arrange the music for a small fee. We also offer a 'jukebox' option for wedding meals and special occasions - each table has a card with a selection of our repertoire printed on it, and either as individuals or as a table, people can request or dedicate songs, then sit back and wait for us to play them. "...Your extensive repertoire really stood out to the guests. A few members of my family even suggested hiring you for every family get together""
"Dear Sarah, I am sat here going over the wedding in my mind (for the fourth day running) and keep coming back to your wonderful playing. I cannot thank you enough for your performance which truly made my day. Almost all of the guests commented on the superb standard of your performance and how wonderful it was to choose the pieces at the Wedding Breakfast. Sorry about the singing by the way! Our guests (and us) are a bit dramatic." "Thank you so very much for making our wedding day so very unique, personal and special for us, you guys were simply gorgeous! Thanks a million, will be recommending you to all our friends"
"We just wanted to drop you a note to say thank you so much for your amazing performance at our wedding. You guys were fantastic and really made our day extra special, we can't thank you enough! Many thanks again"